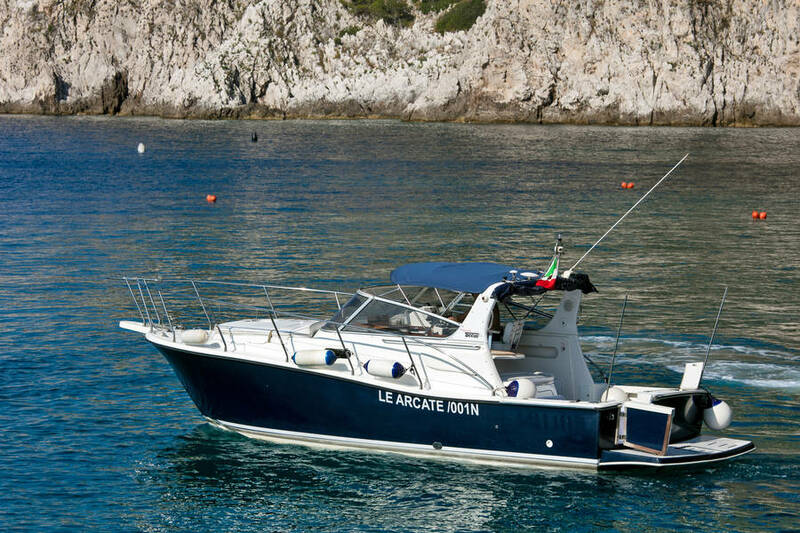 Le Arcate Boat on Capri. 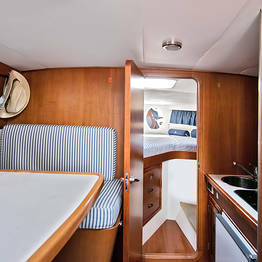 Relaxation at sea with gourmet flair! 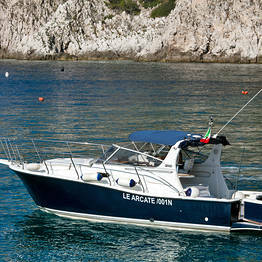 Le Arcate Boat - Relaxation at sea with gourmet flair! 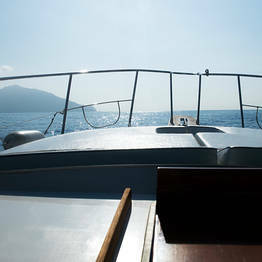 One thing on everyone's Capri bucket list is a boat tour of the island! 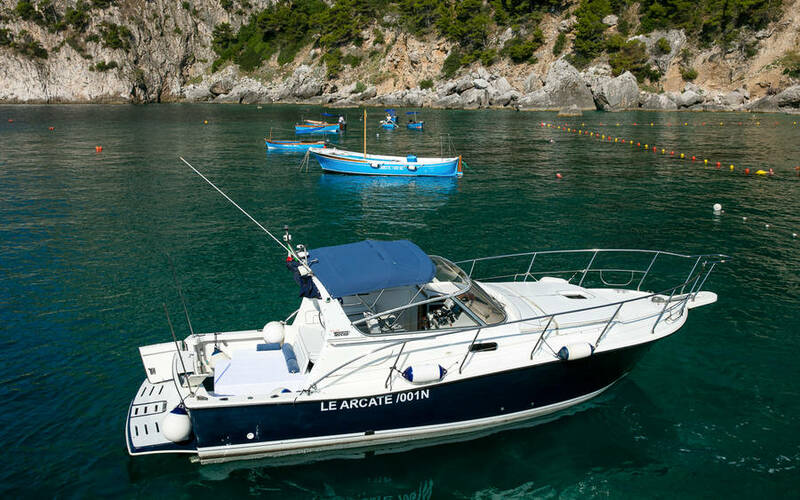 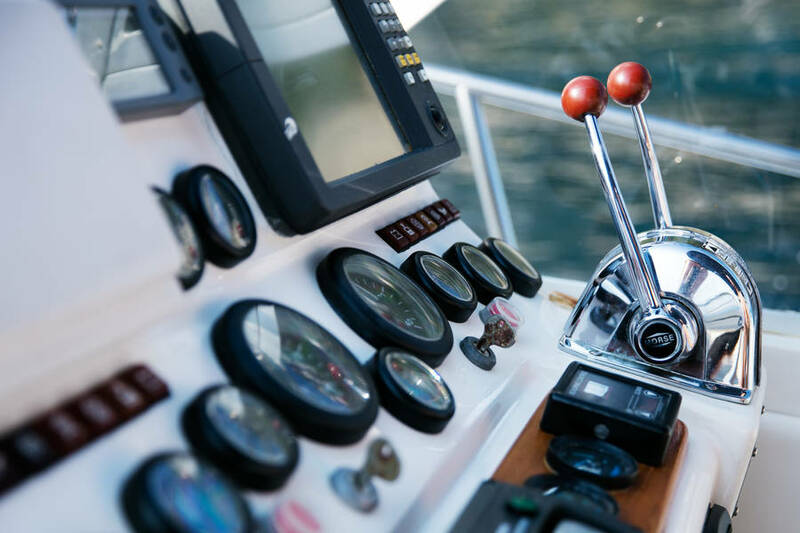 You can only truly appreciate the breathtaking beauty of the island's coastline by sea, and with Le Arcate Boat you'll be guaranteed an experienced skipper, a safe sail, and a completely relaxing day at sea to savour your Italian holiday. 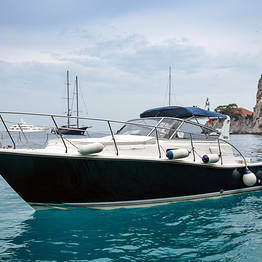 What do you need to do to have an unforgettable sail around the coast of Capri? 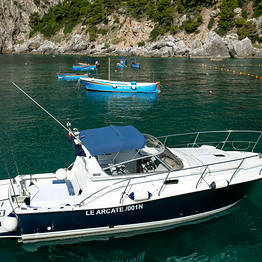 Simply book your boat tour date and pack your swimsuit...Le Arcate Boat takes care of the rest! 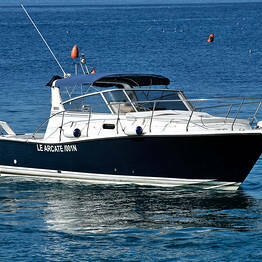 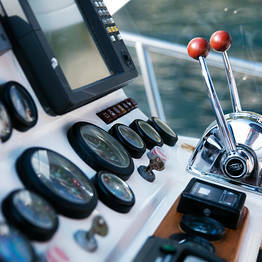 Our passengers can enjoy a tour on our elegant speedboat, both powerful and spacious which can fit up to 8 passengers. 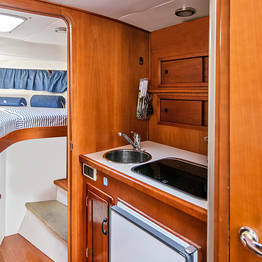 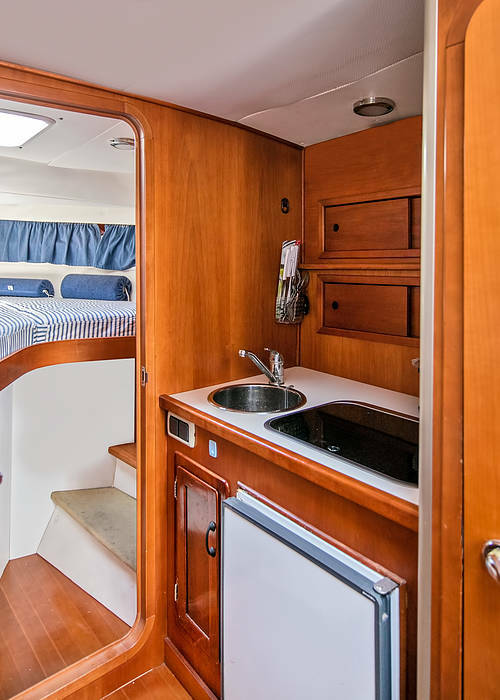 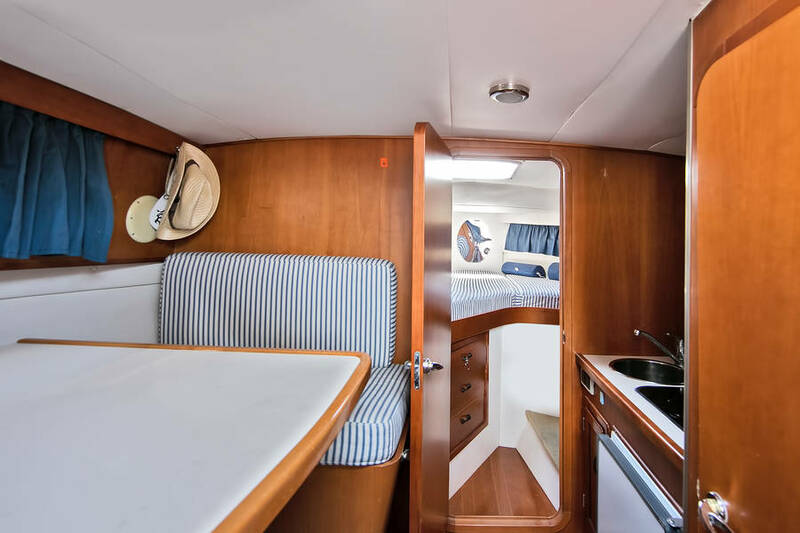 There is a small living area and galley, bathroom, and sleeping space for two in the covered cabin, and above deck two large padded sundecks both on the prow and bow to bask in the sun, a shower and sun awning to cool off, and a convenient side ladder to climb back on board after a swim. 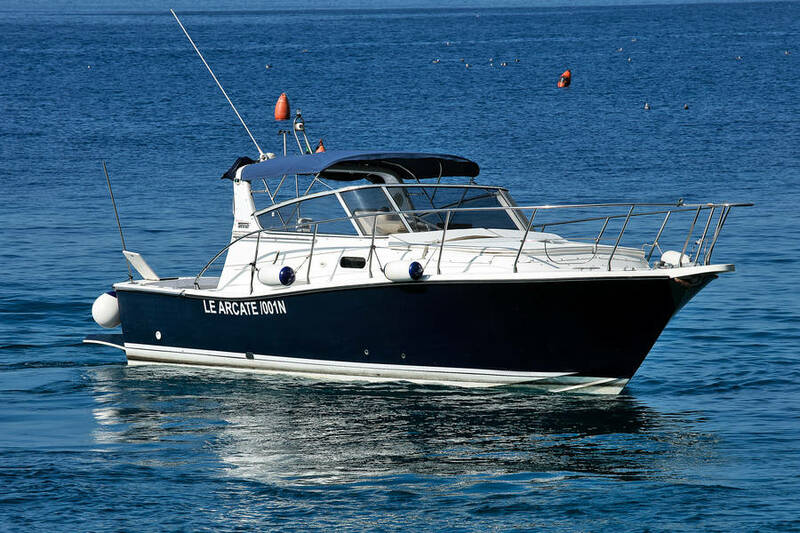 Our boat is equipped with beach towels and snorkeling equipment for all our guests. 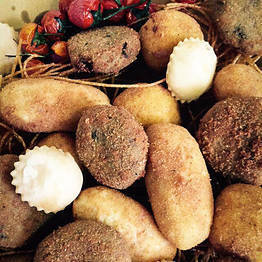 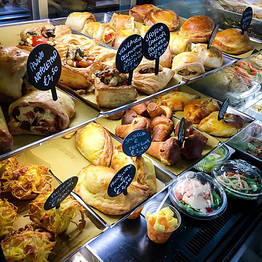 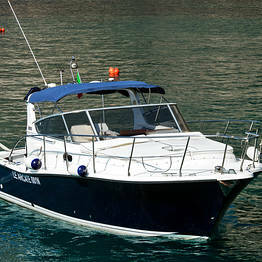 Would you like to pair a gourmet meal with your boat tour? 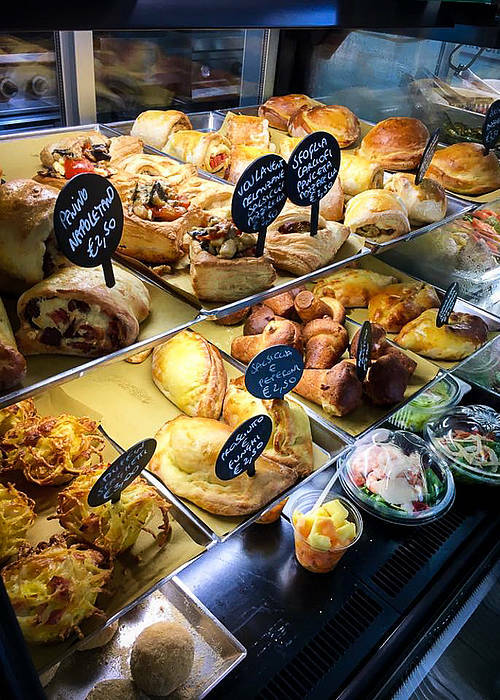 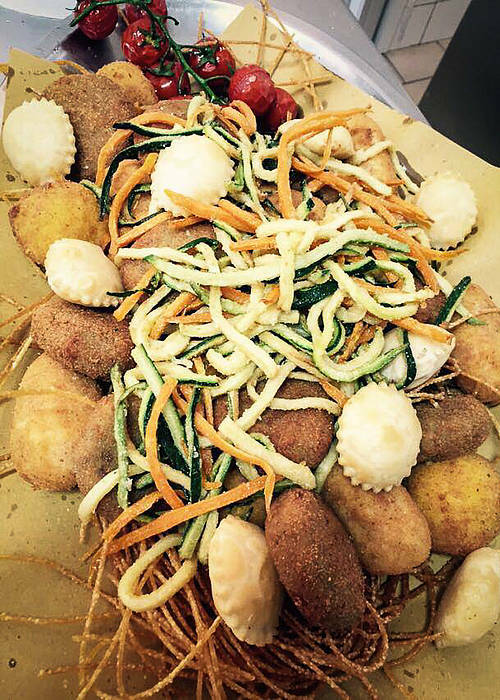 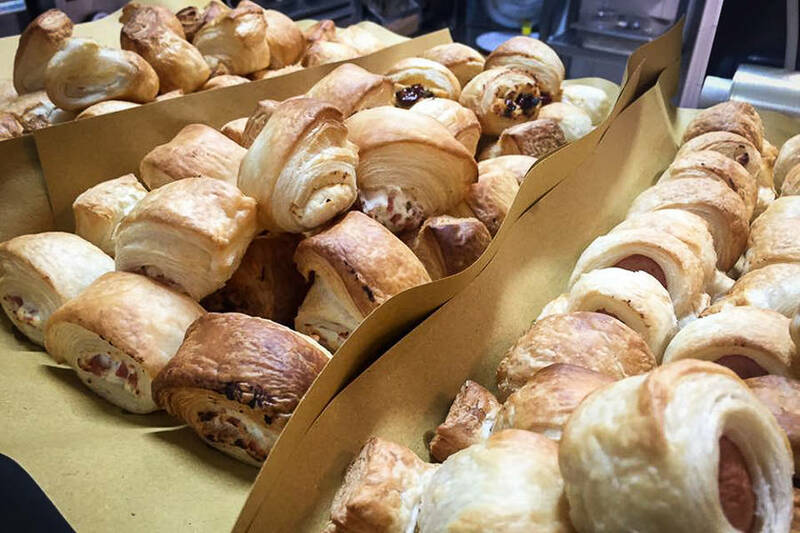 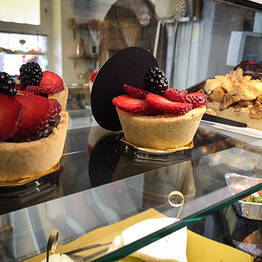 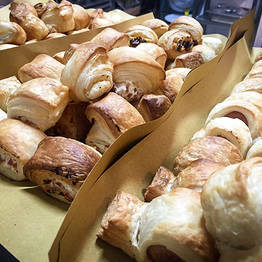 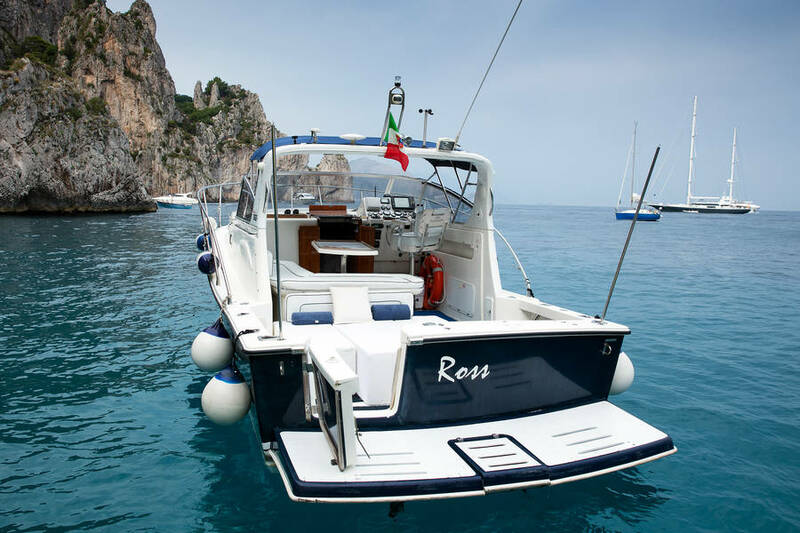 Just request the catering service from our own Al Buco Food & Wine and you can sample the best dishes from the island of Capri and southern Italy during your sail along with an ice chest stocked with beverages. 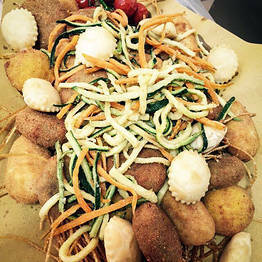 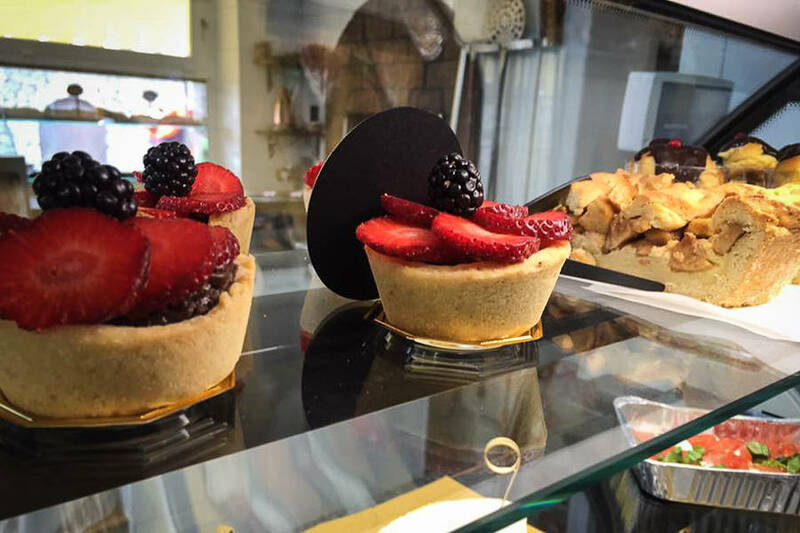 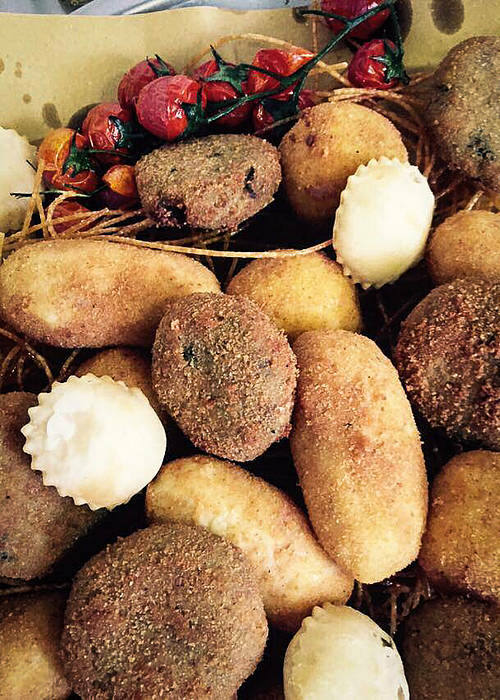 A gourmet sail from beginning to end! 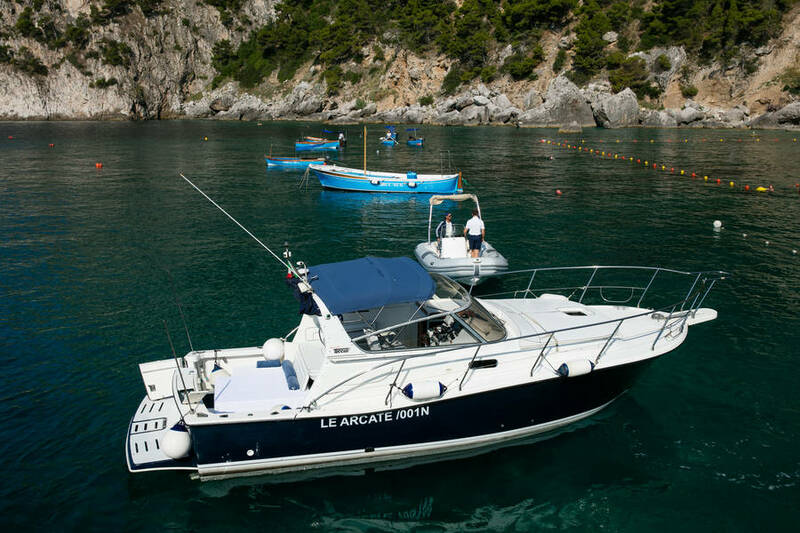 The boat tours offered by Le Arcate Boat are truly unique and customized, and include stops at the Faraglioni in the Bay of Marina Piccola or the Punta Carena lighthouse to take a swim. 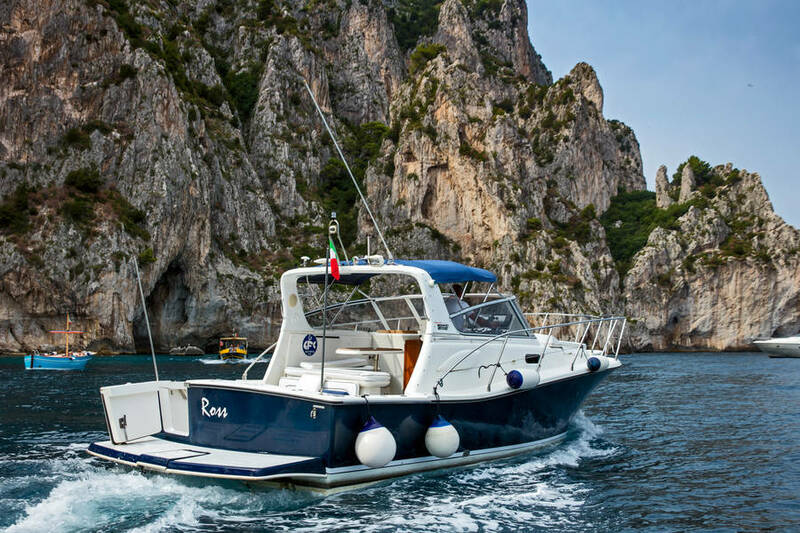 We'll sail into the tiny coves and hidden caves along the coastline, and tour the most famous, including the Blue Grotto, the Green Grotto and the White Grotto. 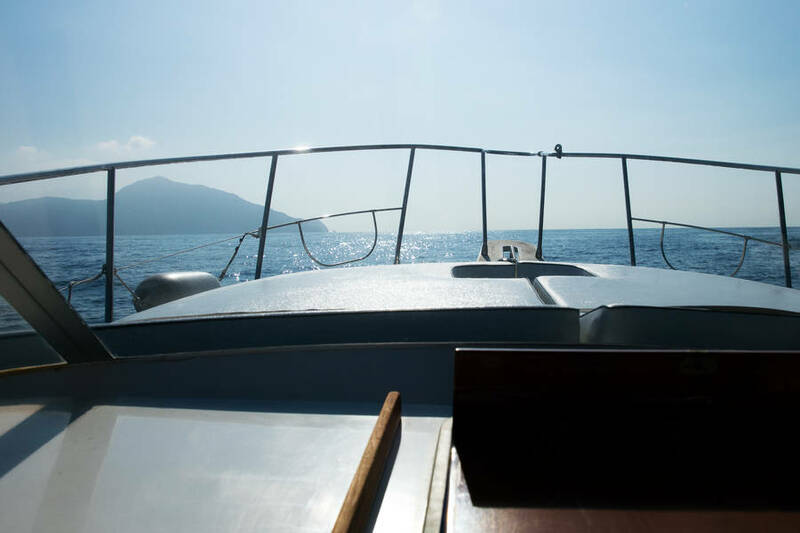 The classic boat tour itinerary is a full day and is the best way to enjoy Capri, but if you are pressed for time, you can also opt for the half day tour (4 hours) and see the highlights! 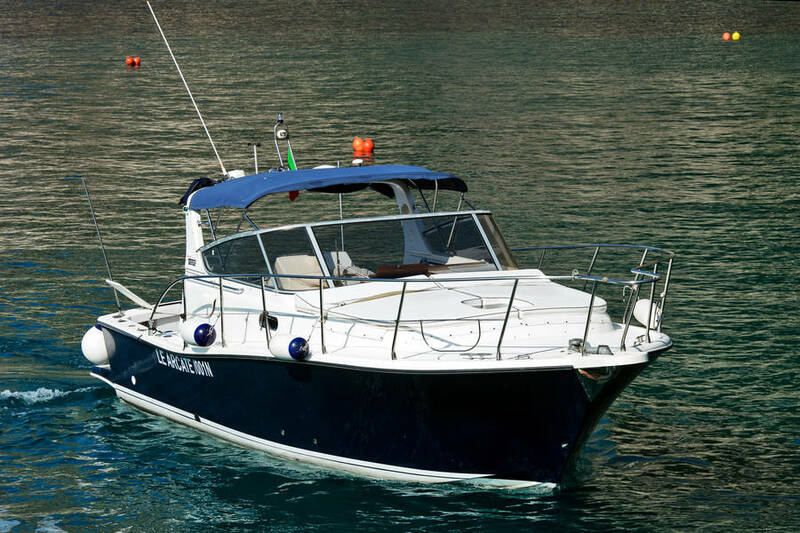 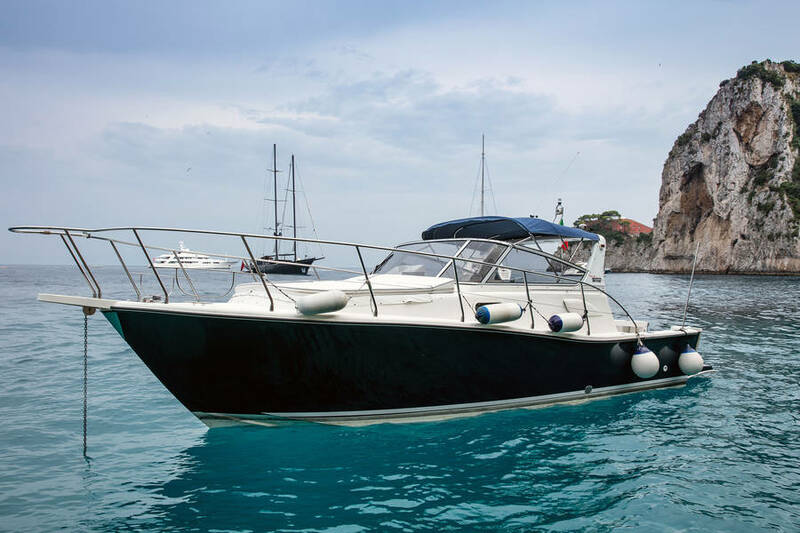 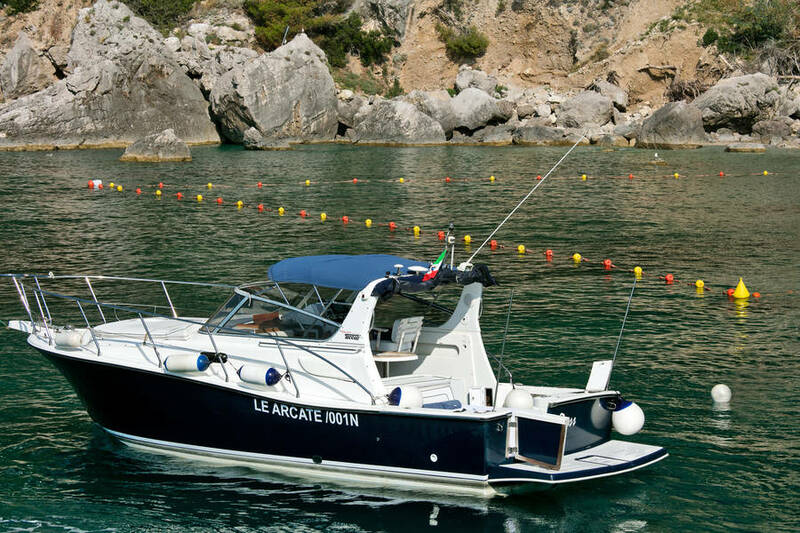 In addition to boat tours, Le Arcate Boat also offers transfers services from Capri to the main destinations along the Bay of Naples and the Amalfi Coast. 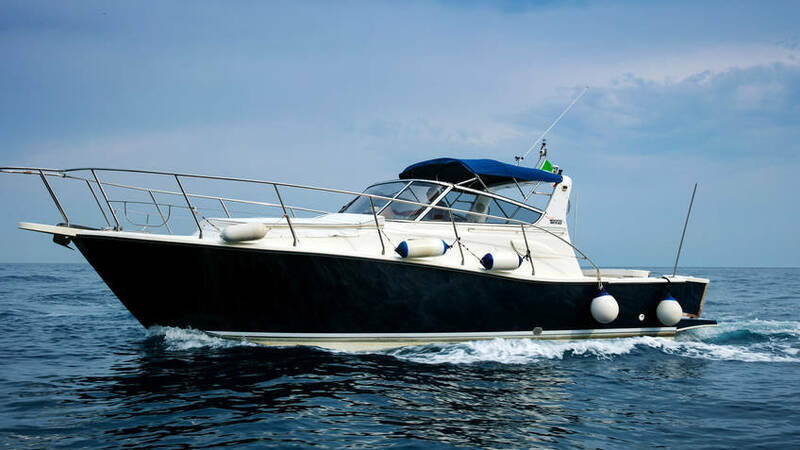 A fast and convenient luxury service to reach Naples and Sorrento from Capri, or to get to Positano, Amalfi, Ischia, and Procida quickly and easily! 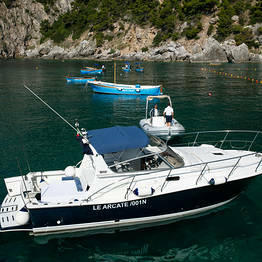 Le Arcate Boat is based at Capri's marina in Marina Grande. 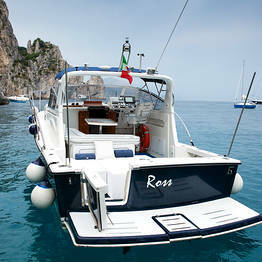 Our skipper will meet you here and set sail around the island of Capri for a day trip or a transfer. 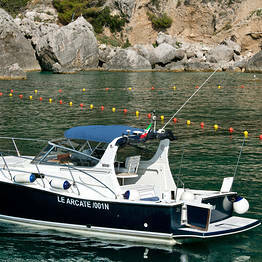 From the Piazzetta in the center of Capri, you can reach Marina Grande by Funicular in just three minutes.